Read Medium article about event here. 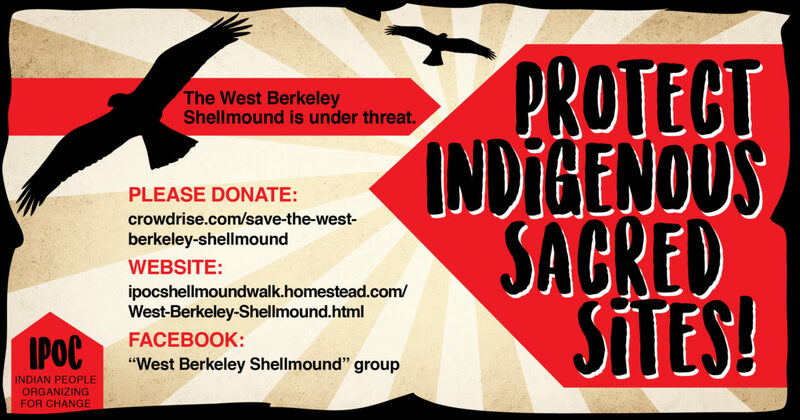 Another part of this graphics campaign is the ongoing struggle to save the West Berkeley Shellmound. The West Berkeley Shellmound/Village site is the oldest inhabited site in the entire Bay Area. This site once held a funerary/burial site of the Ohlone people, the original people of the Bay Area. It is older than the pyramids in Egypt and many of the major cities in the world. Developers propose a five-story building with shops, apartments, and an underground parking garage be built on the site of a historic native village at 1900 Fourth Street, Berkeley, on what is currently Spenger’s parking lot. A coalition of Native organizations, individuals, and families, as well as groups and individuals involved in historic preservation, social justice, and cultural diversity have created an ad hoc committee to oppose this development. 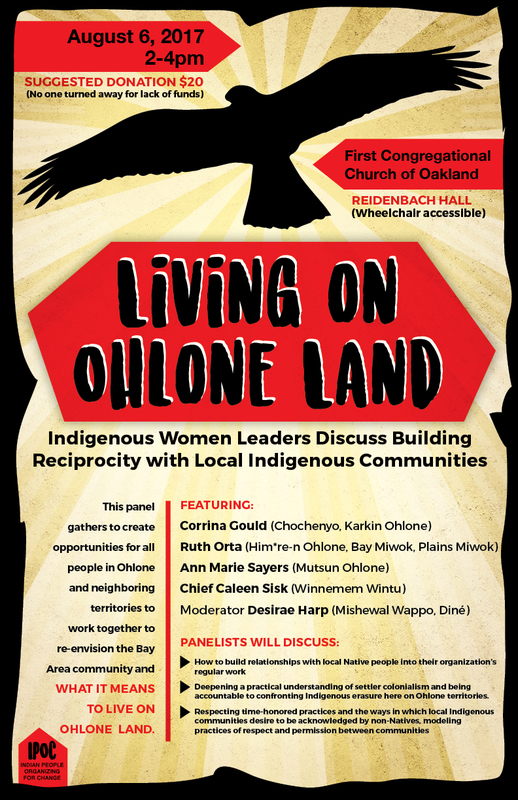 Design Action Collective has been honored to stand in solidarity with the struggles of the original Ohlone peoples whose land we currently occupy, in the form of pro-bono design services.